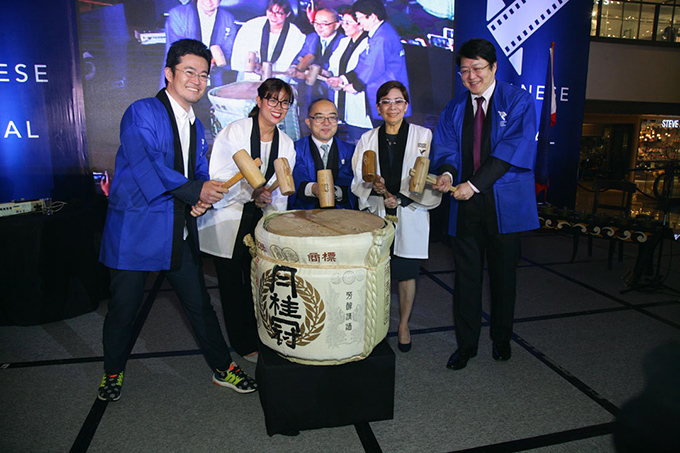 Film director Ryota Nakano, famed for his 2016 film Her Love Boils Bathwater, visited the Philippines from July 6 to 9, 2017, at the invitation of the Japan Foundation, Manila. 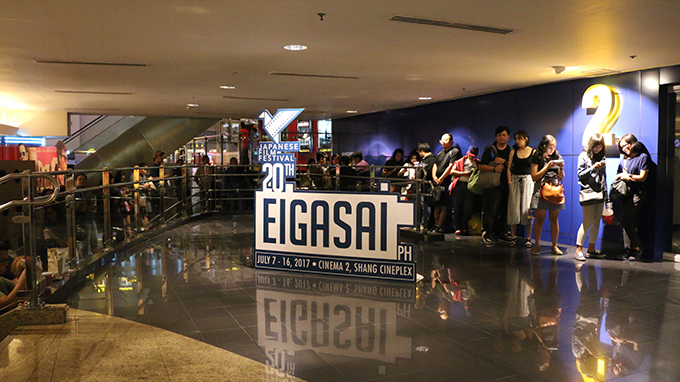 Immediately after returning to Japan he met for the very first time with "satonao" or Naoyuki Sato, Executive Vice President of the Japan Foundation* to talk about his experiences during the Japanese Film Festival (JFF) in the Philippines, its impact, and the significance of introducing Japanese films to an overseas audience. Nakano: Thank you. I saw your post on Twitter. You watched my film three times on the same flight, didn't you? Sato: Yes, it has various plotlines that you need to chew over like a good piece of squid (laughs). Japanese people often refer dried squids by saying that the longer you chew, the more flavorsome it is. The first time I watched it I liked the second half, but on my third viewing I found that my favorite scene was the one where Rie Miyazawa, playing the role of Futaba, cries alone in the empty bathhouse. That scene was really moving. Sato: Yes, it's a scene rich with symbolism, with someone crying alone in a cold bathhouse, where no-one has lit any firewood. But after that, Futaba stands up straight and sets about lighting a fire in people's hearts. Although we can't see the fires that are burning inside her, we understand they are burning extremely strong. It is the heat and passion of this fire within her that carries the story, leading us to the denouement. It was truly wonderful. I really liked how, ultimately, it is the fire within her that kindles warmth in five people who are completely unrelated to each other. Recently my own line of thinking has been focused not on conveying a message to a large and unspecified number of people, but rather that it is pointless unless you can reach out and speak passionately and vividly to a small number of specific people. That is probably why I felt that your film really and truly spoke to me. I haven't cried so much in a very long time. Nakano: It was my first time. Although I only saw Metro Manila on this occasion, the energy in the city is truly amazing. With various construction sites dotted here and there, I got the feeling that the entire country is on the move. I never imagined that it would be such a metropolis, full of cars and people, shopping malls and so many buildings. I was only there for three nights and four days, but I was fortunate to have good weather the entire time. Before I left Japan, the weather forecast was predicting storms every day. I must have brought the sun with me, because it never rained while I was there. Even though it was the rainy season, there was not even the slightest shower--it was comfortable. Sato: There aren't many people who could make the sun come out like that (laughs). But it is humid and hot, isn't it? Sato: I have never been to the Philippines myself, but I believe that the average age is very low, isn't it? Nakano: Some said that they couldn't understand, but I think they got the gist of the story. Nakano: My understanding is that the culture in the Philippines is to take showers, so even homes don't have bathtubs. I was also told that as the Philippines is mostly a Christian country they don't cremate the deceased, although in recent times some people are now cremated. However, people told me that they understood the final scene. Nakano: Yes, I think that was understood. The question I heard most often was about the color. I was asked whether the color of the smoke was to depict it was the mother's favorite color. I answered that I attempted to depict all kinds of messages. 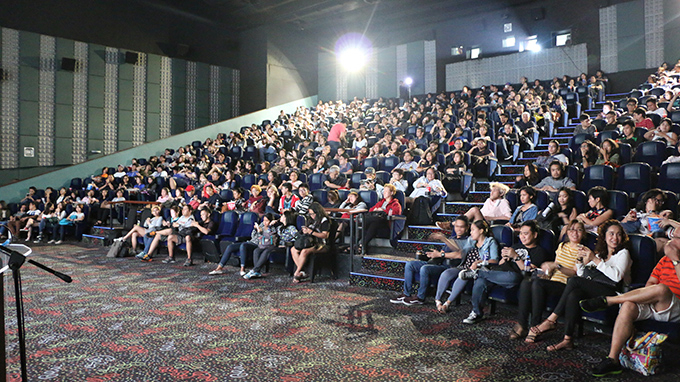 Nakano: I didn't really know whether people in the Philippines would know about the film's success, but when the title appeared on screen a great roar went up from the audience and they burst into applause. Sato: And the last scene too! That really caused everyone's emotions to well up in Japan too. Nakano: Yes, but in the Philippines, when the end credits start to roll, everyone gets up straightaway and leaves (laughs). So I started my director's talk while the end credits were still rolling. That was a first-time experience for me. 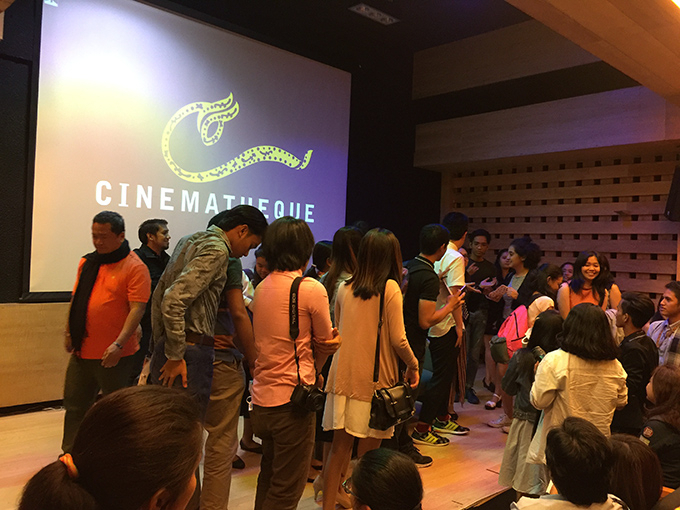 Nakano: Apparently it is quite common in the Philippines to come into a film part way through, or enjoy just a section of the film and then leave. It is not something that you can do anything about and it was the same in India when my previous film Capturing Dad was screened there. Once the end credits roll the lights in the theater go up. Once people's mobiles start ringing people get up and leave. Films probably are not seen as something special, but just another part of daily life. Nakano: There weren't really many questions about technique or direction. The students asked me for my thoughts on what it takes to become a film director. My response was that in their first one or two films they should try to distil all their experiences of life to date. I suggested that in their first work it would be a good idea to let out all the ideas that they are keeping inside them, and in so doing they would definitely be able to progress to direct another film. That is what I did and I think it worked for me. Sato: As you are making a film, though, it must be important to have some point of convergence or theme, mustn't it? If you are putting everything into your first work, it must be difficult to distil everything into a theme. Unless you can do this, there is not much point in becoming a creator. Nakano: Yes, a critical issue for any creator or artist is whether they have the ability to frantically search within themselves and find a way of expressing what they find. This is an industry that winnows out the people that can and can't do this. Of course, frantic soul searching isn't everything. However, what I wanted to emphasize is that for anyone's first film it is pointless to only scratch the surface of what you have inside you. Each time I make a film this process is really exhausting and no matter how hard I try my output seems to be one film every three years. People fill the auditorium for the Director's Talk. Nakano talks about his first-ever film in response to questions from students who aim to become film directors themselves. Nakano: Actually, I hadn't seen any before this visit, but while I was in the Philippines I went to the cinema and saw a drama about a young couple who lives on a street with a child. As there is a great deal of inequality between rich and poor in the Philippines, there are many dramas that depict the lives of people working hard to make a living. Well-known Filipino directors like Brillante Mendoza and Lav Diaz also work hard to capture scenes from everyday life in their films. I would really like to see Mendoza's new film Ma' Rosa. I think that you feel close to films when you have actually been to their country of origin. Nakano: The family is very important in Filipino life and this comes through very clearly. 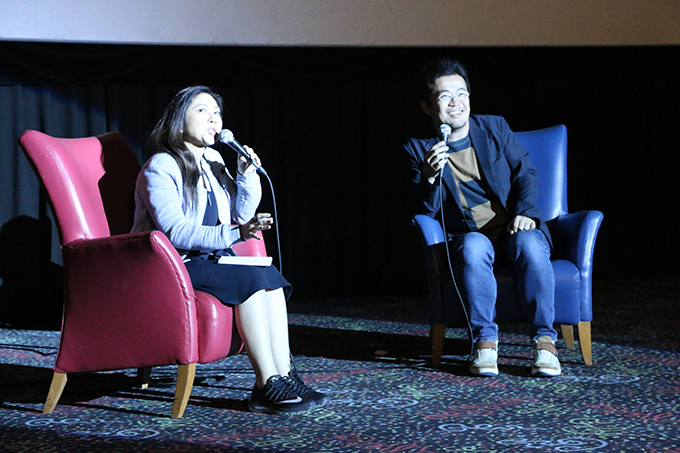 When I stood on stage to give a talk I said to the audience that I had heard that there are many Filipino men who are like the father played in the film by Joe Odagiri. That comment caused a great deal of laughter, with the women saying, "Yes, that's so true." 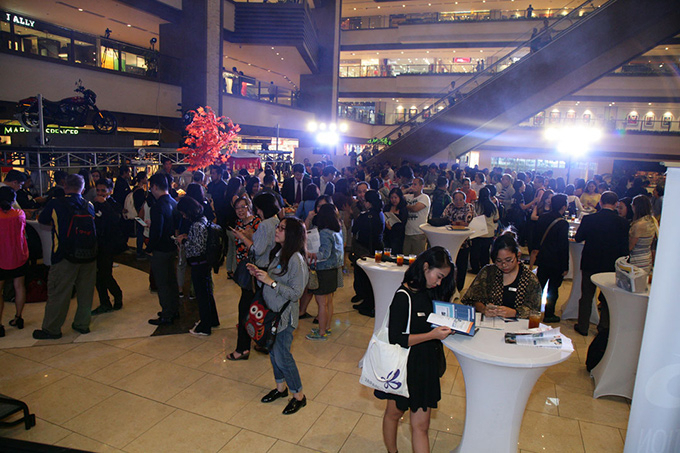 From a director's perspective, what are your thoughts on efforts to promote Japanese film like the Japanese Film Festival: Asia-Pacific Gateway Initiative** that you attended in the Philippines? 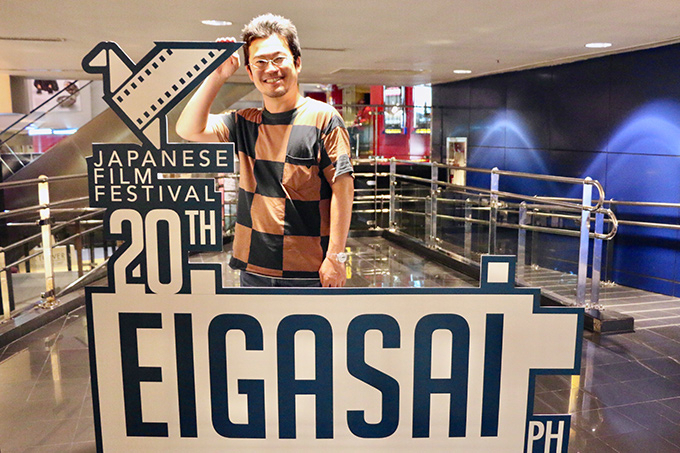 Nakano: I think that the film festival is a marvelous way to convey Japanese culture to the world. It is also really interesting and helpful to be able to actually see people's reactions directly. My long-held wish has always been to create films that are not hemmed in by national borders. I had always thought that my films contained messages that would resonate with audiences overseas. So when I traveled abroad for the first time at the opening of my previous film, this resonance became clear to me by seeing for myself the reactions of audiences in various countries. I think it is a good idea for any director to travel overseas. Sato: It's like a pilgrimage for some people and so many people are coming these days. For Her Love Boils Bathwater it is impossible to tell from the bathhouse entrance counter where the story is set. Where was the location? Nakano: The crab was an added bonus (laughs). I was thinking about the kinds of Japanese food that international audiences could relate to, and in the first cut I used sukiyaki. However, I changed it to "shaabu shaabu," thinking that the swishing of the meat slices in the pot would be more interesting from a film perspective. Nakano: I hope my films have a message for all countries so any country I haven't been to yet is somewhere I would like to go. Nakano: Of course! I will aim to make a film where the audience doesn't get up and leave while the end credits are still rolling (laughs). 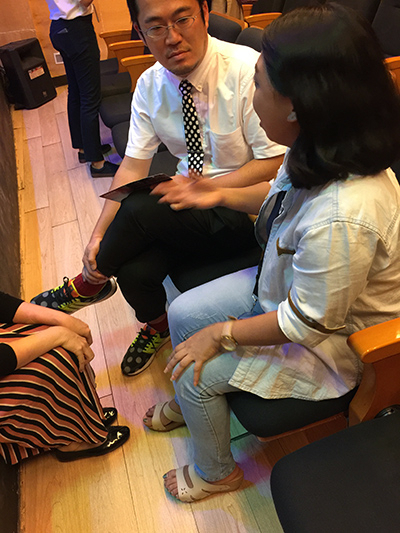 My experiences in the Philippines showed me that a family-based theme resonates with everyone and if the human drama is well described on screen it will be understood in other countries, even if the culture is different. I would also like to shoot a film overseas. Nakano: It's probably because I was brought up in such a family. My father died when I was six and my mother brought me up alone. Then a cousin of mine who had lost her parents came to live with us and we became like a brother and sister. Although it wasn't a normal family, we grew up carefree and I often wondered what a family actually is. Just as there were many deaths in my own family, this is reflected in the film. What is a family? How do the people who are left behind live? Those are my themes. Nakano: In actual fact, the origins of the final scene are in India. The scene where the body is burned with firewood is actually the second time I have used such a scene--it is the same as my very first film. During my student years, when I shot my first film, I traveled to India. When I saw the bodies of people being burned on the banks of the Ganges, it prompted me to think: Being cremated alone in a small crematorium in Japan, or being cremated in a place where everyone, even tourists like me, can watch, which is happier? I got the feeling then that with the latter you get a greater sense of the person having lived a life that has now come to an end. However, cremation in this way is not possible in Japan. I somehow wanted to express the feeling that the person being cremated isn't alone, and enable audiences to feel the warmth of the life that person has lived. So in actual fact, that last scene was one that I created 20 years ago. Sato: I thought that the scene in which the red smoke rises up was an homage to Akira Kurosawa's High and Low, but that actually isn't the case, is it? Nakano: I wasn't a particular film fan in my youth and I hadn't seen High and Low when I made my first film. I watched it after having been told that my film was similar to the famous scene in High and Low, but the scene in Her Love Boils Bathwater is actually a remake of my own earlier work. Nakano: Although the children say "Sphinx!" I think that anyone would understand that the shape is a pyramid. I would be very interested to see whether people would laugh or be offended. * Naoyuki Sato's term of office as Executive Vice President of the Japan Foundation concluded at the end of July 2017. Born in 1973 and raised in Kyoto. After graduating from university, he entered the Japan Film School (now the Japan Institute of the Moving Image). His graduation project As We Go Cheering Our Flaming Lives (2000) won the Japan Film School's Imamura Award, and was also the recipient of an award at the TAMA NEW WAVE Grand Prix and other events. 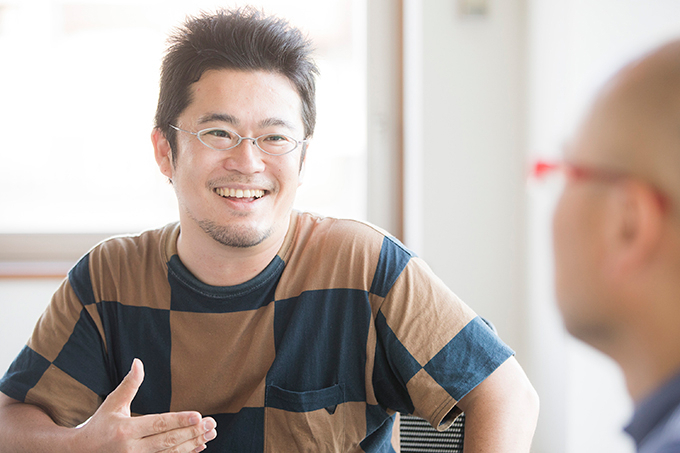 After graduating, he went on to become assistant film director and television director, and after a hiatus of six years he directed and independently produced his own short film ROCKET PUNCH (2006), which went on to win seven awards, including the Hiroshima Visual Exhibition Grand Prix, the Fukui Film Festival Grand Prix, and the Mito Short Film Festival Pre-Grand Prix. In 2008 he was selected to take part in the Agency for Cultural Affairs' New Directors in Japanese Cinema (ndjc) project, and his film The Sparkling Amber (2008), shot on 35 mm film was highly praised. 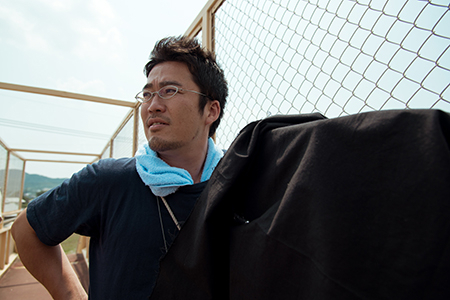 In 2012, he produced his full-length feature film Capturing Dad, for which he became the first Japanese person to win the Best Director Award at the SKIP City International D-Cinema Festival, following which he received invitations to many international film festivals, starting with the Berlin International Film Festival, and Capturing Dad ultimately received 14 awards in Japan and overseas. In 2016 his commercial feature-length film Her Love Boils Bathwater was a great hit that featured strongly in awards season, picking up nominations in six categories at the Japan Academy Film Prizes, including Picture of the Year, Director of the Year and Screenplay of the Year. Born in 1961 and raised in Tokyo. 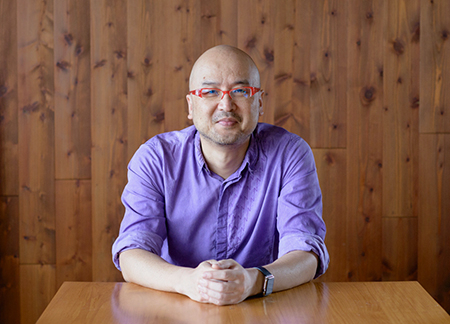 He joined Dentsu Inc. in 1985, working as a copywriter, commercial planner and web director, before becoming a communication designer responsible for creating complete advertising campaigns. In 2011, he created his own company, tsunagu. 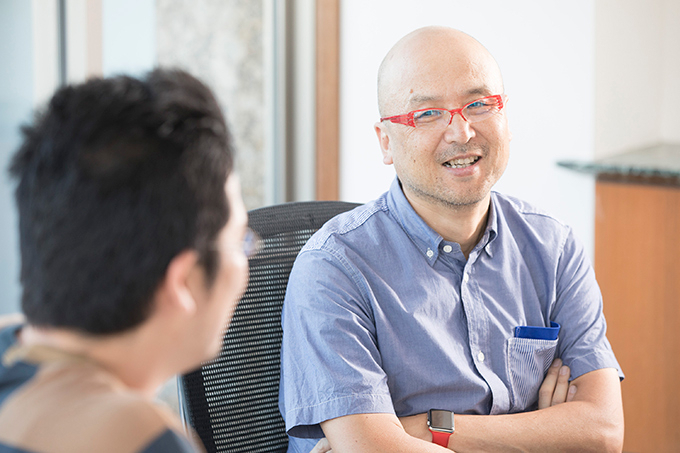 In addition to work for advertising and communications he also supervises various other projects, including satonao Open Labo, satonao Relay Juku, and 4th (community). He gives about 100 lectures every year. His campaign to commemorate and express appreciation for 100 million sales of the popular manga SLAM DUNK was the recipient of multiple awards, including the Japan Interactive Advertising Association (JIAA) Grand Prix. 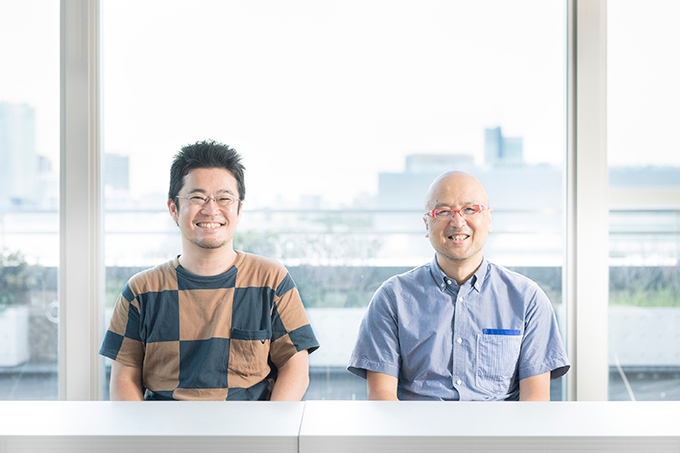 In his own name, he has published Ashita no Koukoku ("Advertising of Tomorrow") and Ashita no Communication ("Communication of Tomorrow") (both published by ASCII Books), and Ashita no Planning ("Planning of Tomorrow") (Kodansha Gendai Shinsho). In his pen name of satonao he has also published various volumes, including Uma-hya-hya Sanuki Udon ("Delicious Sanuki Udon") (Kobunsha), Okinawa Yagi Jigoku ("Okinawa Goat Hell") (Kadokawa), and Okinawa Jouzu na Tabi-gohan ("Food and Travel Guide to Okinawa") (Bungeishunju). He serves in various positions, including Executive Vice President of the Japan Foundation (August 2013-July 2017), Policy Advisor to the Reconstruction Agency, Representative Director of Public Interest Incorporated Foundation "Tasukeai Japan," Visiting Professor at Osaka University of Arts, part-time lecturer instructor at the graduate school of the University of Tokyo, and part-time instructor lecturer at Sophia University.